After my weekend in Charleston, I am feeling in a very Amelia Handegan mood. 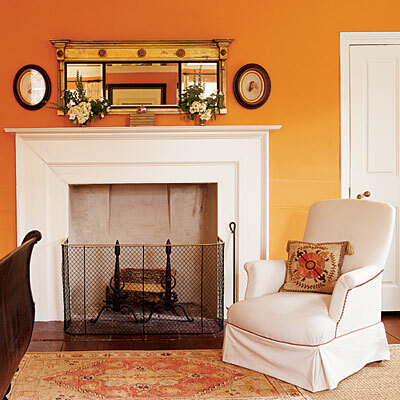 Based out of Charleston, this decorator, who often deals with historic homes, crafts the perfect blend of sophisticated and fresh designs. This beautiful antique furniture, paired with a cool modern wall color, and chic patterned bolster pillow care the perfect combination in this traditional bedroom. 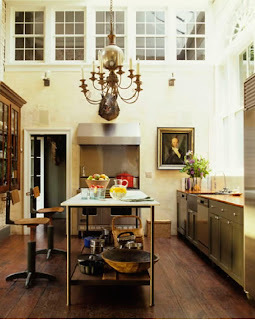 Recently I have really been loving formal historical portraits in kitchens. 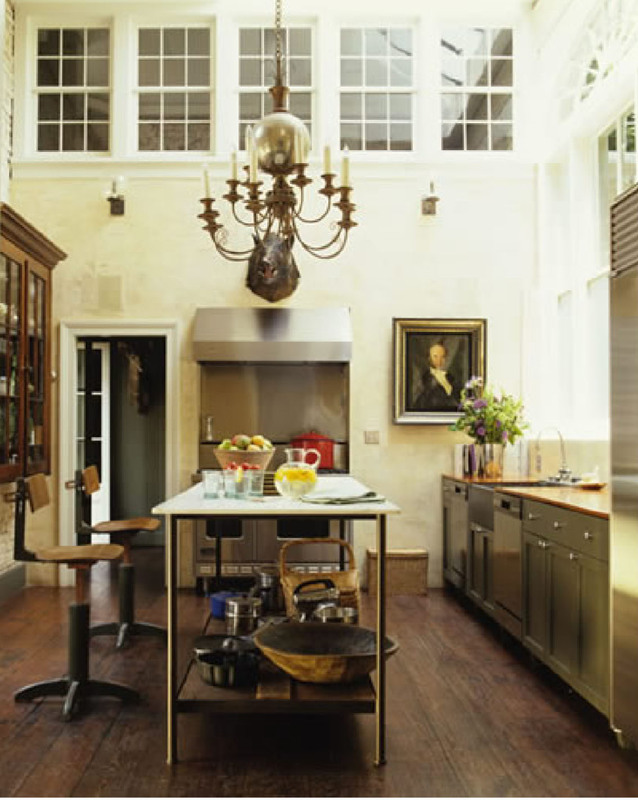 I love how light and airy this kitchen feels. 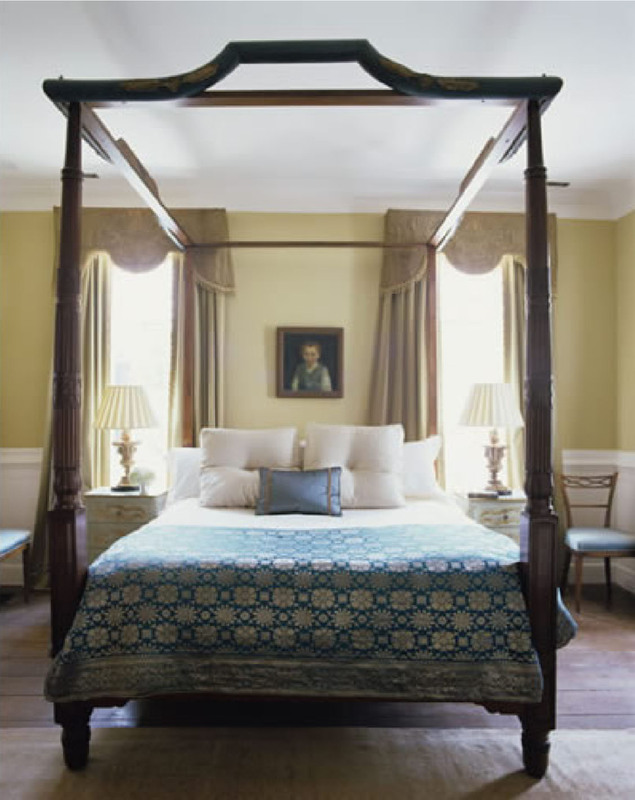 Although very traditional, the warm, neutral tones of this bedroom are more modern than 19th century. I love the Hicks-esque pattern on this bathroom floor. 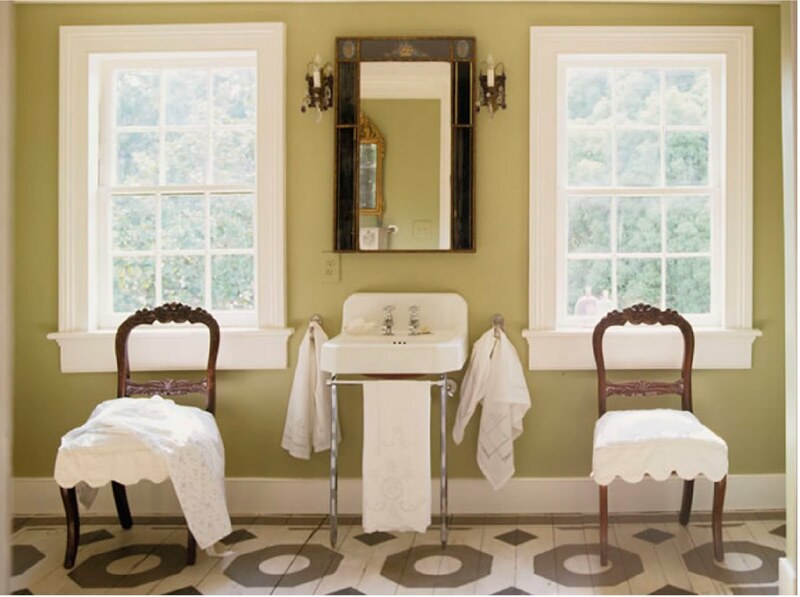 Handegan’s designs are always very paired down–fewer pieces, more simple designs that don’t require additional adornment. 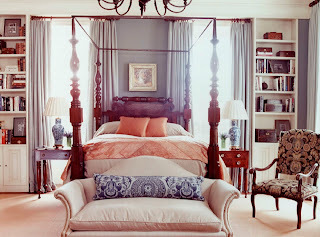 Again, the spartan nature of this bedroom, paired with this turquoise suzani is right up my alley. I also love the architectural nature of the valances. Antiques and neutrals. Less is more! I know that we are all on a bit of a Tony Duquette “more is more!” kick, but something about this really appeals to me. 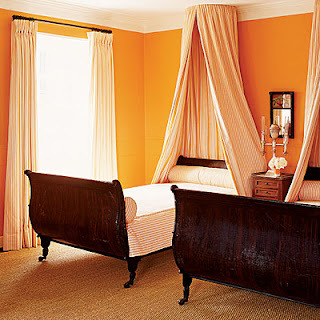 And finally, wall to wall sisal, orange ticking on the beds, and pumpkin on the walls–how fabulous is this? 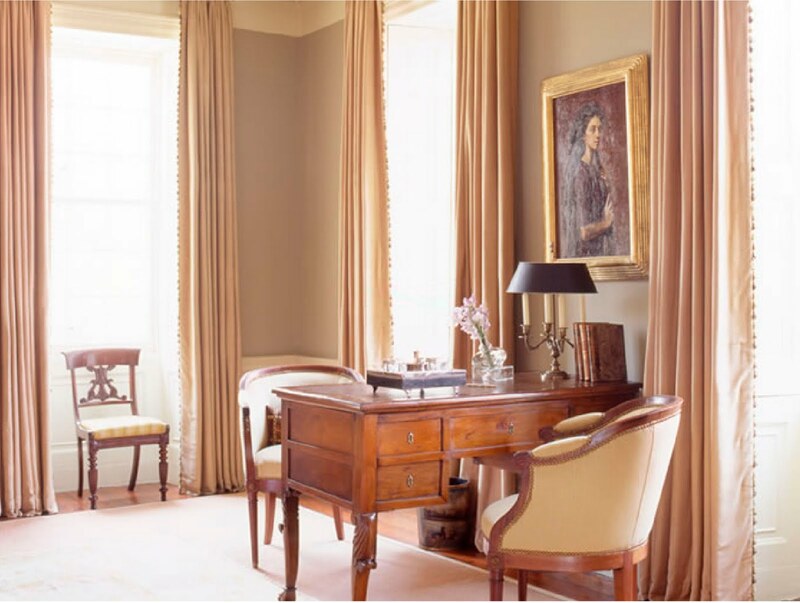 Traditional and yet indirectly modern. My mom and I have been dying to get down to Charleston…it looks like so much fun! Chic Coles – I would love to have you all as guests anytime!